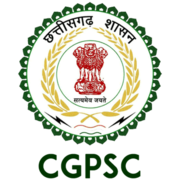 CGPSC Recruitment 2019 - Apply Online for 41 Professor, Associate Professor & HOD Posts in CGPSC, Chhattisgarh. Online Applications are invited by Chhattisgarh Public Service Commission, Raipur from 15 Feb 2019 to 16 Mar 2019 for 41 vacancies. CGPSC Professor, Associate Professor & HOD Call Letter 2019: Chhattisgarh Public Service Commission, Raipur has issued the Admit Card on 12 Apr 2019 for Professor, Associate Professor & HOD Exam 2019. Eligible candidates may apply online at CGPSC's website (direct link is given below) from 15 Feb 2019 to 16 Mar 2019.